Can I Play Superpremio Online? Read Reviews! 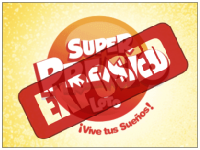 Superpremio Exposed — Super Prizes, Super Odds or Something Else? Today, we’re heading on a journey to Honduras. The country has some exciting lotteries, and if you’re about to visit this part of the world, you should test your luck. Superpremio was launched solely in 2012, but it quickly became a favorite. There are several reasons why both Hondurans and visitors to the country put hopes on this game. Launched in 2012, Super Premio Loto is a numerical-style draw lottery game. It features excellent odds in comparison to other national and international lotteries. The low participation cost is another reason why Superpremio picked up speed quickly. While some lotteries undergo modifications over time, the format of Superpremio has been unchanged since the launch of the game. Super Premio Loto Honduras is one of the entries in the portfolio of Loterias Electronicas de Honduras (Lotelhsa). A few other prominent games that belong to the same brand include La Diaria Loto, Pega 3, Premia 2, Raspitas, Ganagol, and APostemos. Is Superpremio a Scam and Can You Buy Tickets Online? Superpremio Loto is not a scam – a nationally-recognized entity organizes it and laws are governing the administration of lotteries in the country. Loterias Electronicas de Honduras was set up in 2002 as an entity under the Canadian Bank Note Company umbrella. In 2012, a lottery concession took place that enabled the setting up of a modern entity. The concession is valid for 30 years and depending on the current development of lotteries in Honduras; it could be extended for an additional period. Through the years, Lotelhsa has worked to introduce some innovations and also to boost the security of lottery playing. As a result, you have nothing to worry about. Buying a Lotelhsa lotto ticket is entirely safe, and you’re guaranteed to get a payout in the event of winning. At the time being, there also isn’t information about scammers running fraud schemes under the assumed identity of Superpremio. As far as online ticket buying goes, you will find out more about the possibility to play Superpremio online in the coming sections. Don’t expect something particularly convoluted or challenging when playing Super Premio Loto. This lottery is straightforward, and it doesn’t have any added bells and whistles. For a chance to claim the Superpremio jackpot, choose six numbers from a pool ranging from 1 to 33. The minimum price of entry is 10 lempira. Superpremio has two drawings per week – on Wednesday and Saturday. In Honduras, you have to be aged 21 or older to buy lottery tickets. If you’re a foreigner who’s in the country legally, you have the right to visit Lotelhsa retail venues and acquire your Superpremio tickets. Because there are only 33 numbers to choose among, the odds of winning the top prize are pretty high in comparison to those for other national lotteries. Your chances of claiming the jackpot are 1 in 1,107,568, and we believe they’re pretty spectacular. Apart from the jackpot, there are three additional prize tiers. You will have to match five, four and three numbers for the respective drawing to claim the prize allocated to each tier. The third and fourth prizes are fixed. Those who have four correct numbers will win 200 lempiras. Three correct numbers produce the cute prize of three free tickets. The overall odds of winning a Superpremio prize are 1 in 19 – once again, pretty favorable in comparison to other games out there. Over the years, Superpremio has produced several big winners because the jackpot rolls over if nobody matches the six numbers for the respective drawing. While we couldn’t come across about the biggest jackpot in the history of the game, here are a few of the most recent big winners. In April 2017, a man won 4.5 million lempiras through the selection of the following set of lucky numbers – 1, 4, 12, 19, 29 and 31. In August, Jose Funes from Valle de Sula won 10.5 million lempiras. The summer of 2017 has obviously been quite lucky because it produced yet another big winner – Francis Arias from Villanueva won six million lempiras in July 2017. Prize claims can begin on the day after the respective drawing takes place. Winners have 90 days from the date of the drawing to come forward and request their sum. Sums of up to 30,000 lempiras can be cashed out immediately at any authorized retail venue in Honduras. For larger sums, winners will have to head to the regional offices of Loterias Electronicas de Honduras. Jackpots are paid at the enterprise’s head office. All of the prizes are paid out in the form of a cash lump sum. As per Honduran rules, lottery prizes of 30,000 lempiras and more are subjected to a 10 percent income tax. Can You Play Superpremio Online? Lotelhsa is committed to enabling digital/electronic lottery playing options. This is why Honduran players can benefit from a ticket portal that allows them to play Superpremio online. To buy lottery tickets online, players have to register. During the registration, a national identity number will have to be entered. Thus, if you’re not a citizen of Honduras, you’ll not get to benefit from the opportunity. Online tickets will not be sold to individuals under the age of 21. There’s also an online app for added convenience. At the time being, Honduran lotteries aren’t available via international online lottery agents. If you want to buy Superpremio tickets online from another country, you’ll not be capable of completing the task at the time. You may want to check out international online lottery agency websites to find out if Superpremio is eventually going to get added to their portfolio. Would you mind rating Superpremio? Anyone who is in Honduras can choose among various lotteries. Superpremio is one of the viable options, and it has excellent features. Superpremio is not the most thrilling game out there. It lacks add-ons or bonuses that make the gameplay a bit more exciting. The excellent odds, however, compensate for the lack of additional player stimuli. Getting a single ticket is also easy, the price is low, and the payout justifies the spending. Don’t be hesitant about trying Superpremio. While it doesn’t create the most massive jackpots in Honduras, it can certainly change your luck (and your finances, we hope! ).